This is where a party refuses to comply with a contract amounting to a breach of contract. An injunction is a remedy, sometimes awarded by court, that ceases some action from being taken. 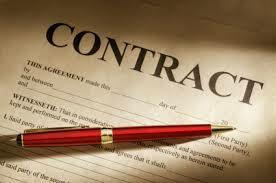 It may stop a party from doing something against the contract. Going-concern is an accounting idea that a business should be valued on the basis that it will continue operations for the foreseen future. These clauses are intended to exclude one party from liability if a certain circumstance happens. Courts tend to interpret these clauses strictly, and favor the party that did not write them.